Avenged Sevenfold have shared an exciting music video for a new song titled "The Stage." Watch it above, courtesy of the band's YouTube. 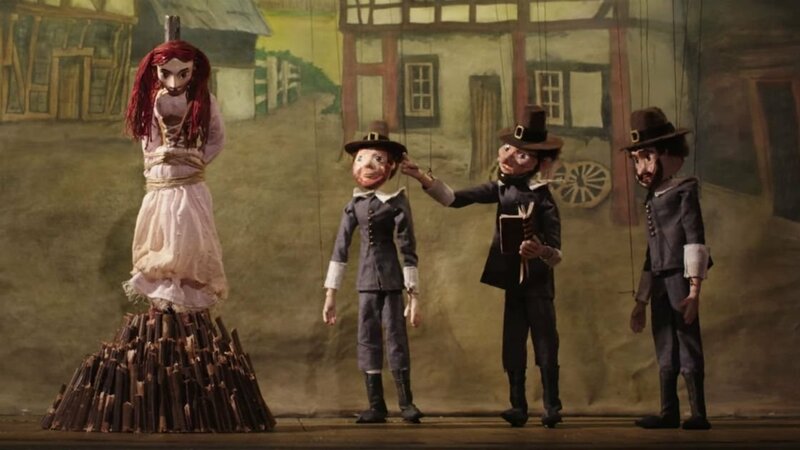 We're taken inside a tent to a puppet show titled "Professor Batz Fantastical History Of The World," where we see violent reenactment's of past historical events. The crowd that's gathered to watch are amused at what they're watching, but there's a sudden twist towards the end that you might find yourself asking, "Who's pulling our strings?" "The Stage" is expected to be on the band's next album, Voltaic Oceans, which has a release date of December 9, 2016. The band's last LP was 2013's Hail to the King. For more about Avenged Sevenfold, check out their Zumic artist page.